In order for the AI-based diagnosis support system to better assist medical professionals in their decision making, it is critical to discover a search system that displays real-time existing patients with similar conditions. At AAAI’18, the study on the algorithm that can quickly perform an approximate nearest neighbor search was presented by AITRICS, collaborated once again with Pohang University of Science and Technology (POSTECH). The goal of this study was to develop a system for diagnosing a rare disease via machine learning and monitoring a patient’s condition more effectively in a pediatric intensive care unit. In the process, we displayed a binary embedding method, a non-linear dimensionality reduction method for approximate nearest neighbor search. Of particular interest in the study was circulant binary embedding (CBE) with angle preservation, where a random circulant matrix was used for projection. It yielded comparable performance while achieving the nearly linear time and space complexities, compared to embedding methods relying on unstructured projection. To support our promising empirical results of CBE, we extended the previous theoretical framework to address the optimal condition on the number of bits. 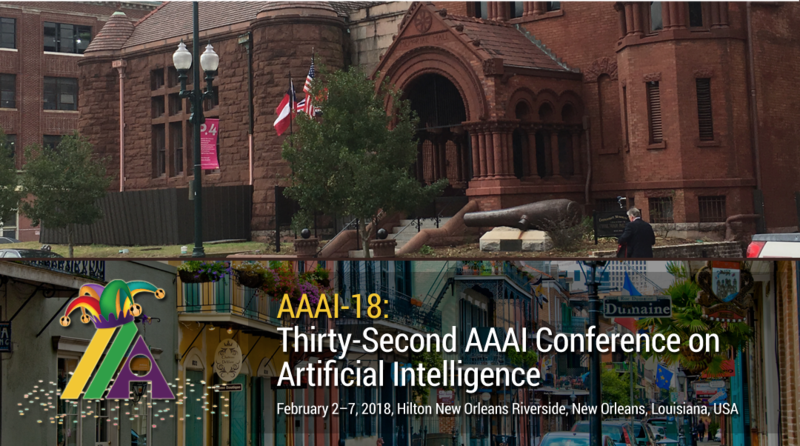 Based on our thorough analysis and numerical experiments, the algorithms for the fast and nearest neighbor search have been developed, and we are excited to present our solution at the 32nd AAAI Conference on Artificial Intelligence (AAAI-18), which will be held from February 2–7, at the Hilton New Orleans Riverside, New Orleans, Louisiana, USA.